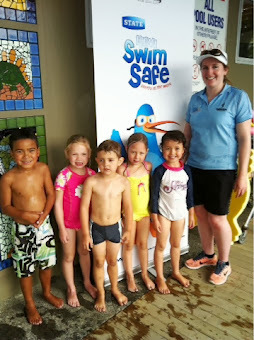 Today Alannah from Swim Safe came in to visit us at the swimming pool. She taught us some fun games like: Simon Says, Trumpets and Zoo Game. This was so much fun! We had the best time in the pool. Thank you Alannah!